The Nook is a truly rooted in the local community from the delicious crepes it serves, you can opt for sweet or savoury with a range of unique and usual fillings that are all homemade. The coffee is hand made and all ingredients are sourced from local suppliers. The interior is decorated by local artists who display their crafts and produce on the walls and shelves of this unique establishment. The Olive Tree Cafe is a delightful local establishment in Athenry that serves food throughout the day. You can choose from a variety of cuisine options from around the world including Moroccan, Asian Fusion, Mediterranean and traditional Irish dishes with a modern twist. There is a large and varied menu with everything from homemade salads, sandwiches, pastries to traditional favourites and delicious desserts. The Old Barracks Restaurant is a family run establishment that serves food throughout the day. From traditional and hearty breakfast options, to salads and sandwiches for lunch as well as hot lunch options. The evening menu is extensive and will appeal to all tastes and requirements. The restaurant has the privilege of being able to supply much of the meat and vegetables from its own farms and those in the local vicinity, ensuring quality and fresh produce. There is also a bakery that offers on a daily basis a large choice of home-baked breads and cakes. Donnelly's of Barna is already a well known established licensed landmark but, now it is rightfully known as a superb seafood restaurant. In an idyllic location on the coastal route to Connemara, the unique premises exude old world charm from the aged brick and wood that further enhance the overall charm and ambience of the establishment. There is an extensive menu that will appeal to all but with a real emphasis on fresh locally caught seafood that is presented with a unique manner and panache that will delight all patrons. O'Grady's is in an ideal location with amazing views of Galway Bay together with a distinctive ambience. This first rate restaurant specialises in local and the freshest seafood, with immediate access to daily catches. Although fish and seafood is their specialty they also serve a choice of other dishes to cater for meat-eaters and vegetarians, with all dishes served in an innovative way, with their own unique flair. Holding many awards and accolades The West is a true treasure amongst the many dining establishments there are in Ireland. With an innovative and professional team they continually strive and achieve food perfection. The menu is varied and all dishes are prepared to order, with all breads and pastries made on the premises. The ingredients are sourced locally to ensure freshness and that everything is in season. It is a fun and lively dining experience with the added option of sitting at The Chef's Table where you can experience first hand the attention and care that goes into the dishes served. Vaughan's is a long established and well renowned pub located in the centre of the Burren. It is well known locally as a customary Irish pub serving local cuisine together with the usual favourite pub grub choices. Throughout the year on a twice weekly basis you can enjoy Ceili Dancing. With it's warm and welcoming atmosphere it is not hard to see why it is withstood the test of time to be County Clare's oldest pub. Enjoy the best fish in Ireland and the Burren Smokehouse. Cold and hot smoked salmon and organic salmon is available. Every piece of fish sold is taken from Irish waters. Smoked trout and mackerel platters are also offered. Loved ones who enjoy a good piece of fish will love to receive one Burren's gift hampers. Bennett's Restaurant is located in the Magowna House Hotel an intimate establishment situated in the stunning countryside of Clare. It claims to serve the best pint that can be enjoyed in traditional pub surroundings whilst, here why not try the tasty bar food. Alternatively, you can eat in the cosy and inviting Bennett's Restaurant where, the food is delicious. With a comprehensive A la Carte Menu that has an interesting Italian take, there will be something to appeal to everyone, you won't be disappointed. Dillons Bar and Restaurant is a family run concern and is an integral part of the community. The family extend a warm and friendly welcome to both locals and visitors, with its comfortable and relaxed surroundings and great food it is a welcome retreat for all. The restaurant serves a selection of traditional favourites and there will be something to appeal to all on the menu. On a warm and dry summers day you can enjoy the beer garden. With great food, drinks and live music Dillons Bar makes for a great night out. Cloister Restaurant is located in the centre of Ennis in the unique setting of Ennis Friary Closlstral buildings. It is a favoured dining place for locals and visitors to the area, with its welcoming and inviting atmosphere and complimenting tasteful decor. Using fresh and simple local ingredients the real flavours shine through in the food produced. There is a comprehensive wine list to accompany the fine food. A lovely dining experience. Holding the title of the oldest pub in Ireland you won't get a more traditional pub than Knox's, conveniently located in the centre of Ennis it is a popular stop for both locals and visitors, who come to enjoy the atmosphere, music and good food they offer. It welcomes families, couples and large parties. Open for both lunch and dinner and offering a bar, a la carte and fixed menus it is a great place to have a bite to eat whatever the time of day. This intimate and cosy cafe is in its intimacy but offers first rate breads, cakes and buns. Carrie's Cakes makes all products on the premises fresh daily using high quality ingredients, the result is a delicious array of quality and different flavoured breads. Available to take away or enjoy in the sandwiches and baguettes they make. Take a seat and enjoy a coffee with a tasty sandwich and see if you can resist the tempting array of yummy cakes. The Thai Palace is a restaurant where the flavours and taste of the food speak for themselves. Serving authentic Thai food that is produced using fresh, quality ingredients without any MSG. There is a large choice of traditional Thai dishes that are not only tasty but healthy too, being low fat and nutritionally well balanced. Seasons 52 is a friendly and welcoming restaurant located in Ennis, open seven days a week from evening till late. With a varied menu that includes meat, chicken, duck, fish and vegetarian options there is something to appeal to all tastes. They operate an early bird and fixed price menu which offer great value for money. 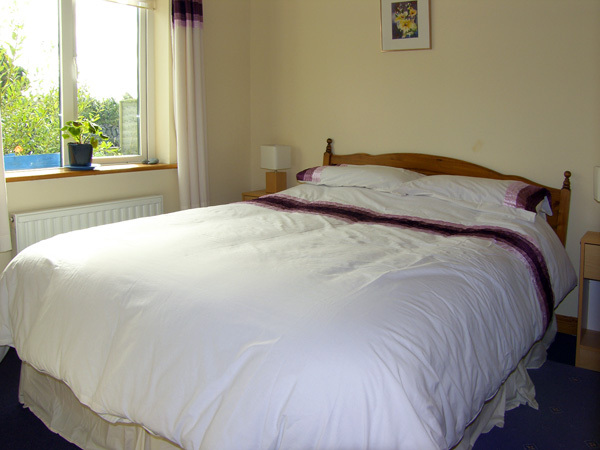 Located in the sumptuous surroundings of the Old Ground Hotel, is the Brendan O'Regan Room. Offering formal dining in tasteful surroundings you are assured great food and a professional service. The restaurant is open throughout the day serving breakfast, lunch and dinner. The menu mirrors the grandeur of the surroundings and includes a number of traditional choices, that are prepared using an original flourish. All dishes are made using, fresh and seasonal ingredients that are acquired from local suppliers so you are guaranteed the best in quality, flavour and taste. Located in the historical old town hall, is the Town Hall Cafe, this imposing building has been tastefully renovated into a bright and airy cafe. With simple decor the food is able to speak for itself. Using up to date and clever cooking techniques they have created a range of dishes to tempt and delight your taste buds. Serving lunches and dinners, as well as tasty coffees and freshly baked scones and scrumptious cakes and tarts there will be something to appeal to everyone. If you are looking for some revered Irish hospitality in a relaxed and welcoming setting, then Cruises is the place to go. It has comfortable surroundings and serves a great choice of traditional and favourites like fish and chips, steak and Guinness pie. In the evenings impromptu music sessions will often start making for a great night out. Food Heaven is a lovely Cafe with a deli that serves a great selection of food throughout the day. Using the best of fresh local products they make fresh daily scones, breads and quiches. So whether it is a tasty omelette for breakfast or a delicious sandwich or wrap for lunch or a coffee and divine dessert you will delighted by what is available. Ennis Gourmet Store is home to a warm and inviting bistro that is an important part of the local community. The Bistro is a great place to stop and chill out over a tasty coffee accompanied by some delicious homemade food, or what about a nice glass of wine and cheese to accompany this, all followed by some scrumptious chocolate. Located in one of the oldest city pubs in Cork, but having a modern and spacious feel Clancy's Bar aims to give a great night out. With everything under one roof you can enjoy an evening of your choice, from a quiet drink to a bustling night out these can be accompanied by a lovely meal in Raffertys Restaurant with a varied and comprehensive menu covering everything from breakfast, lunches, snacks and dinner, with old time favourites and much more on offer. Dromoland Castle welcomes visitors with stunning views and the most luxurious settings imaginable. Experience the expansive castle grounds on horseback or relax along the lake for an afternoon of fishing and pleasantries. Many other activities are offered including clay shooting, falconry, tennis and archery. No matter what you do or how long you stay, Dromoland Castle will be the highlight of your visit! Get closer to the world we all share by taking a journey with Burren Guided Walks and Hikes. Many unique settings are visited, from green roads to limestone pavements, terraced hills and shorelines. Whether you are a rambler or a serious hiker, you will find memorable experience and picturesque scenery. Get out and get moving with Ennis Walking Tours! Travelling on foot is the best way to get up close and personal with the local landscape. Private group tours are offered along with general strolls that provide a glimpse into medieval life in Ennis. Food lovers can try the gourmet walking tour while the curious may prefer to test their constitution with a haunted history tour. The Galway Bay Golf Resort offers everything a golfer could ask for. Players can test their skills across a challenging course while admiring the local scenery. Galway Bay includes lush green landscape as well as waterways and a glorious view of the nearby bay. the grounds cover 300 acres and were originally designed by World and Ryder cup winner Christy O'Connor Jr.
Feeney's Riding Stables located in Galway is the perfect place for horse lovers. The site features 30 stables, a race track, large paddock areas and an all season outdoor arena lined in flood lighting. Lessons and treks are available throughout each week. Enjoy all manner of equestrian fun by planning a visit to Feeney's stables! Bearna Gold and Country Club is a beautiful golf course just five miles from Galway city. The course itself has stunning views of Galway Bay and the surrounding moorland, as well as the Burren and Aran Islands. The clubhouse includes a bar and restaurant and a pro shop. Golf clubs and buggies are available to hire. Catch a serious wave with the Aloha Surf School in County Clare. This wet and wild experience takes visitors of all ages to the beach for sand, surf and slippery fun! Activities and lessons are extremely diverse, offering camps and activities for adults, children and whole families along with convenient equipment rentals so you don't have to pack a board. The Slieve Aughty Horse Riding Centre is a great place for individuals, couples and families touring Ireland. Book treks or take a cross country adventure on horse back! The facility also provides riding lessons and special holiday packages. Festivals and special events are hosted regularly. Visitors should check the calendar for upcoming events and gatherings. The family-run Drumcliffe Equestrian Centre offers individual and family horseback riding sessions that cover some of the most gorgeous countryside in the region. Book a pony trekking excursion or sign up to learn more about horse care and maintenance through pony camp. The facility spans a massive 100 acre farm that is a mere 10 minute walk from Ennis Town Centre. The North Clare Sea Kayaking Tour Company offers an invigorating way to enjoy the outdoors in Ireland. Paddle across the water in your own sleek kayak! Choose a full day expedition or check out one of the many tour options which include island exploration, cliffs, cave and Into the Wild Burren. The Connemara Trail Tour gives travellers a breathtaking look at Ireland's beautiful scenery. The terrain is very diverse, featuring bold mountains, serene lakes and mysterious bogs that are bordered by the immense Atlantic ocean. Make memories as part of a group on horseback as you see all the sites on a four to six hour excursion. The Knockillaree Riding Centre offers everything a horse lover could want and more. Adult and child riding lessons are offered all year. Advanced riders can make appointments for instruction in show jumping and private instruction. Trekking opportunities are available and cover the shores of Lough Corrib and beautiful Irish woodlands. Relax and enjoy a bit of competition at the Woodstock Golf and Country Club. Guests can book a stay in the luxurious Garville Court holiday homes which overlook the golf course. The club hosts many golf-related events with online tee time reservation options. An on-site golf shop, shower facilities, catering and equipment cleansing area make each visit as convenient and comfortable as possible. Four family-run businesses have joined to create the Diamonds of Renvyle. This location features the Renvyle Fisheries Connemarra, Diamonds Bar and Restaurant, Diamonds Equestrian Centre and Pony Farm and the Diamonds Self Catering Accommodation. Enjoy the freshest, most savoury food products or book a trek atop a sturdy horse or pony. The Lahinch Surf School invites students of all ages to learn how to fully enjoy the waters of Ireland. Perfect your "pop" as you stand on the board and learn how to guide each movement as you shoot along the surf. Equipment is included so no additional purchases are required to prepare for each lesson. The Lahinch Golf Club has been welcoming golfers to Ireland since 1892. The grounds are sweeping, with lush green as far as the eye can see. Rated among the top 50 courses in the world, Lahinch provides everything a golfer needs to perfect their holiday and their swing. Among the eye-catching scenery sits Dough Castle near the 7th hole. The Lahinch Surf Experience is a great choice for visitors who love sun,surf and adventure! Nestled in County Clare, Lahinch is a lovely seaside town that serves as a popular destination for surfers in Ireland. The Surf Experience offers lessons for all skill levels. Equipment rentals are also offered so you can pack light and still go surfing! Clare Equestrian Centre is a haven for horse lovers. This County Clare attraction provide a wide range of exciting activities and events, including horseback riding, trekking, slow jumping, riding clinics and much more. Novices can sign up for pony camps that provide valuable instruction for those just starting out with horse care and handling. Hit the waves with Ben's Surf Clinic! This exciting attraction offers everything a surfer needs to get started in Ireland. Equipment rental is available so you don't have to worry about packing a board. Lessons for all skill levels are offered as well as one off courses and an advanced camp for children and teens. Ocean Scene Surf School provides day lessons that help visitors and residents perfect their abilities on a board. A variety of courses are offered, including weekend lessons and progressive instruction. Adventurous individuals can also check out the school's surf and stay packages. Visitors should check the Ocean Scene website prior to their stay to learn more about lessons and booking. Go Gaelic offers an array of fun sports events and activities. Unique packages are offered so participants can expand their experience by trying multiple events, from hurling to Gaelic football. Prove your worth on the competitive field and enjoy the rush of fast-paced competition and team work by joining Go Gaelic! Coole Park is a lush expanse of flora and fauna. Visitors can observe many animals in their natural environment. Bring your camera because you may discover birds, wild deer and much more while travelling one of the two trails that wind through the park. Immerse yourself in the tranquillity and beauty created by Mother Earth while learning about the area's natural history. The Woodville Walled Garden in County Galway is a stunning testament to the beauty and grace of Mother Nature. Come see breathtaking outdoor scenery and learn about the landmark's connection to Lady August Gregory. Entering the garden feels like stepping into a whole new world filled with vibrant blossoms and lush greenery. The Caher Bridge Garden is an enchanting place that will inspire imagination. The grounds encompass a restored riverside cottage and has enjoyed much publicity, including a feature in The Irish Times and Irish Garden Magazine. Admire beautiful daffodils, snowdrops, daylilies, hostas, ferns and much more. The garden is open all season by appointment only. Stepping in to Brigit's Garden will take you on an enchanting exploration of one of Ireland's most magnificent gardens. Located in 11 acres of traditional woodland and wildflower meadows it will introduce you to Celtic heritage and mythology through its various features that include, a nature trail, ogham trees, an ancient ring fort and Roundhouse being a little sample of what there is to discover here. Throughout the year a number of unique events take place, the gardens also serve as a Discover Science Centre. There is a Garden Cafe serving a superb choice of cuisine using fresh and organic ingredients that are sourced directly from the gardens. 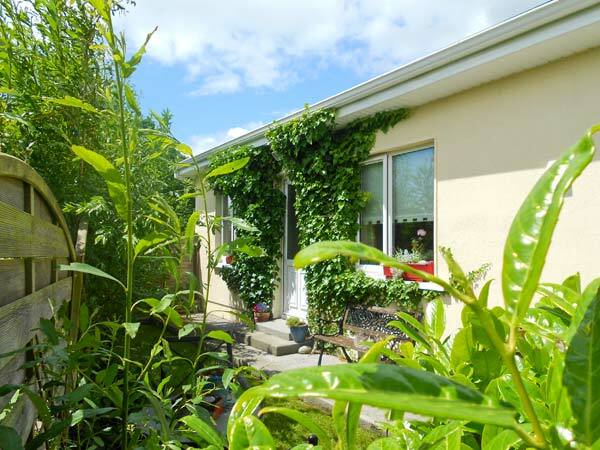 Doolin Garden and Nursery is the perfect place for botanists and nature lovers.Whether you want to explore the living world or are simply looking for a beautiful place to excite the senses, you will find it here. Explore hidden pathways to discover mini garden area. View various plants in all stages of life and purchase a few to bring home! The Farmyard offers educational workshops and farm activities suitable for people of all ages including family groups and corporate groups. Based on a family run farm, activities include team building exercises, sheep and goat racing, and butter making. Educational activities explore the history of Irish farming culture in the area. The Mullaghmore Experience offers walking tours of the Burren area. The walks are led by Marie McGauren, a qualified and experienced walking guide who specialises in leading walks focused on personalised heritage, nature and spiritual aspects of the local area. 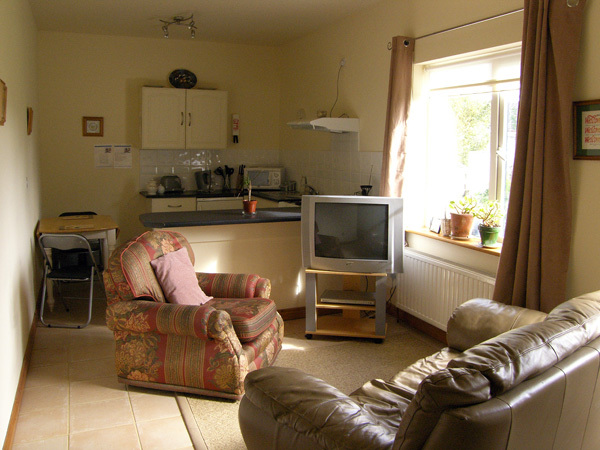 Self-catered cottage accommodation is available for those that wish for a longer stay. Killary Cruises brings passengers across the only fjord in Ireland. This spectacular landmark presents gorgeous scenery that you won't find elsewhere. The trip includes information on the history of the area. A comfortable viewing lounge is accessible and offers meals as well as delicious Irish coffee. Each tour runs approximately 90 minutes and begins multiple times each day. Burren Birds of Prey Centre offers a unique experience to nature lovers. This facility is home to many majestic birds of prey, including eagles, hawks, falcons, owls and many more. Amazing displays showcase the stunning abilities of these regal creatures and provide a rare opportunity for spectators to interact with the birds. Aillwee Cave takes guests deep into an underground world full of amazing subterranean scenery. Discover the secrets of one of Ireland's oldest caves. Guides are on hand to provide information and answer questions while curious onlookers find crystals, fossils and minerals. The attraction also includes a tearoom and craft shop. Dun An Oir presents a rich history that dates as far back as 4,000 B.C. when the Celts constructed forts in the region. The name, which translates to "Fort of the Gold", was the site of much turmoil and strife. Today visitors can observe the ruins of the landmark while enjoying the gorgeous Irish landscape surrounding it. The Turoe Pet Farm and Leisure Park is a fun way to spend an afternoon! Families will love the combination of activities offered by this popular attraction. Children can climb, run and jump within two enormous fully supervised indoor play areas. Outdoor play space is also offered as well as an exciting pet farm with cockerels, pigs, donkeys, ponies, ducks, rabbits, goats, lamas and more! The Loughwell Farm Park offers fun and exciting from the inside to the outside! Visitors can meet the farm's furry residents, which includes pot bellied pigs, alpacas, reindeer, Nubian goats and a tiny pony. Children and adults can visit the Barnyard theatre or use diggers in the enormous indoor beach area. Standun Spiddal in Connemara was established in 1946 by Mairtin and May Standun. This unique retail experience has been recognised as an important landmark in the area. The catalogue features many beautiful items including luxurious outerwear, skin care products, homewares, glass items, jewellery, chocolates, fragrances and children's clothing. This location also carries a collection of gorgeous Waterford Crystal gifts. O'Neachtain Tours invites visitors to see Ireland in total comfort. Drivers are provided to welcome newcomers and help guide them along as they experience all the country has to offer. Depart from Galway to discover the beauty and culture of Connemara. The journey includes stops at Kylemore Abbey, Letterfrack and much more. Additional tours are available. Galway Bay Fishing offers anglers one of the most exciting experiences imaginable! Truly experience fishing on the sea while in Ireland. The excursion is focused on Galway Bay. See the Aran Islands and test your skills with a rod. The Aquastar and her skipper, Kevin MacGabhann, are ready to show you a great time on the water! Gore of Galway Walking Tours offers visitors an intimate, personalised way to see the area. Private journeys are provided complete with a knowledgeable guide to share information and insight into the regions history and people. A variety of themed trips are available, including the Medieval tour, Dark History tour and Galway City tour. Have your own original work of art created by Doreen Drennan Art Studio. Ms. Drennan is a talented artist who creates vibrant, captivating pieces with oil paints. Discover a collection of stunning recreations that capture the essence of west Ireland's beautiful landscapes, gardens and seaside settings. Many pieces are currently available for sale. Pallas Karting is the place for intense entertainment. The facility provides karting, paintballing and zorbing so visitors have many ways to have fun. Test your driving ability on the Hairpin Bend or see if you can survive by defending or attacking on the field of paintball battle! Hen and stag party services are available. Set sail with the Doolin 2 Aran Ferries! The ferry departs daily to carry passengers to the Aran Islands. Sit back and relax as the captain guides the boat along glistening waters. All around you will see breathtaking views of Irish landscape. Hour long cruises under the Cliffs of Moher are also available. Doolin Cave is an amazing experience that no visitor should miss. This subterranean paradise is home to the Great Stalactite, which is the longest free hanging stalactite in the entire northern hemisphere. The grounds also include a pleasant farmland nature trail which includes rare cattle breeds as well as goats, chickens and sheep. Aran Island Fast Ferries is the most efficient way to get around on the water. The islands are a destination rich in history which can only be accessed at the centre of Galway Bay. Get across safely and quickly with the Fast Ferries. Individual fare is available as well as special package deals which include transportation and accommodations. Into the West horse drawn caravans are a unique way to experience Ireland. Each journey is taken inside a vibrantly painted wooden cart pulled by a sturdy horse. See serene countryside while enjoying fresh air and the pleasantries of horse travel. Day trips are available. Passengers can also book stays in guest houses, hotels and pubs along the way. The Doolin Pitch and Putt in County Clare features an 18 hole golf course. Enjoy invigorating competition while savouring the amazing view of the Cliffs of Moher, Doonagore Castle and the Aran Islands. Equipment rentals are available for adults and children so you don't have to bring your own gear. Ted Tours offer tours themed on Father Ted. You can visit a huge array of locations used in the series including the Parochial House, Mrs O'Reilly's House, the Holy Stone of Clonrichert and the Chinese Pub. A must for any Father Ted fan visiting County Clare. Tours run most Saturdays and private parties can be arranged. The O'Brienline Doolinferry offers the best way to see some of Ireland's most amazing landmarks. Group tours are available as well as full and half day excursions. Travel in total comfort on the largest ferries as you see the Cliffs of Moher, Inis Oirr and the Aran Islands while floating along the glistening waters of Ireland! Flowerhill Equestrian Centre invites horse lovers to enjoy the fresh Irish air on horseback! This 250 acre property in Galway provides the perfect setting for a relaxing cross country ride. More than 30 hunting horses are also available so visitors can enjoy the rush of the timeless sport of fox hunting. Visitors in County Clare can explore the beautiful Lahinch Beach. This popular destination offers some of the finest waterside scenery in the country. Firm sands are easy on the feet with no uncomfortable gravel or rocks to slow you down as you head for the shimmering waters. Visitors should plan their trip carefully because this beach becomes a busy hot spot for locals on the weekends! Kenny Woollen Mills Shop carries a delightful selection of the finest Irish made gifts. Choose from many popular favourites like glistening Waterford crystal pieces or luxurious Irish knitwear. The catalogue also includes many unique items such as Nicholas Mosse pottery, Belleek China, John Rocha jewellery, Galway crystal and Celtic gifts. Lahinch Seaworld provides a unique opportunity to get closer to some of the world's most beloved marine creatures. The aquariums are home to many diverse saltwater and freshwater animals. The facility also operates a swimming pool and gym. Guests can sign up for swimming lessons or book a Pilates or circuit training session. The Whitewater Surf School has been helping adventurous spirits hit the waves since 2007. Lessons for adults and children are offered at Spanish Point with weekend, small group and one off options. An extensive surf shop is also available so visitors can find everything they need from wetsuits to accessories, clothing and high performance boards. Head outdoors for fun and entertainment at the Moher Hill Open Farm! The property holds an array of activity options, including some indoor facilities for days when the weather doesn't cooperate. Visitors can see the animal paddocks, play mini golf, visit the tree house, have a picnic or tour antique farm equipment. Indoor options include go-karts, tea rooms, tuck shop and a bouncing castle. Meaningful and beautiful, the fascinating Aistear InisCealtra is one of the most unique landmarks in Ireland. After years of development, this site serves as the powerful results of a collective effort. The maze contains seven individual spaces that are found on a 4.5 acre community park close to Mountshannon village. Earth conscious visitors can really appreciate the offerings found at Imecofarm. The name is pronounced "I'm Eco Farm", which represents Island McGrath (IM) and the location's primary focus: to provide a literal "eco farm". Learn how to live greener and explore an eco-friendly facility that will education and inspire young and old alike! Dunguaire Castle currently includes a 16th century tower that rests along Galway Bay. Built on a rocky outcropping, this handsome structure creates a spectacular view amid the lush green growth and glistening blue water. This location is recognised as a significant historic site with heavy ties to the country's literary revival. Rinville Park can be found a mere five miles outside of Oranmore. This breathtaking County Galway landmark was constructed in the 16th century. The grounds include a massive network of wooded walks as well as open farmland that borders the shoreline. Visitors can utilise a recreational facility while capturing gorgeous photos of the Irish landscape. 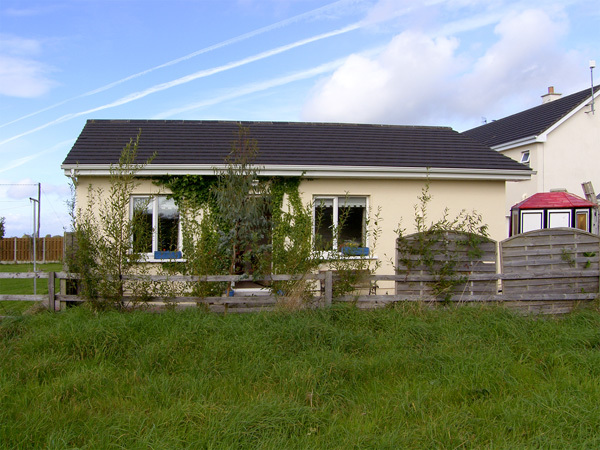 The Kiltartan Gregory Museum can be found just outside of the town of Gort along Galway Road. The grounds are located in the area known as "Kiltartan Cross", which is believed to be where blind poet Rafferty fell in love with the Beauty of Ballylee. The museum was officially opened in 1996 and currently serves as an important landmark in Ireland. Thoor Ballylee is better known as the home of W.B. Yeats. Explore this 16th century Norman castle which also includes a small cottage that is recognised for its importance to the literary community. 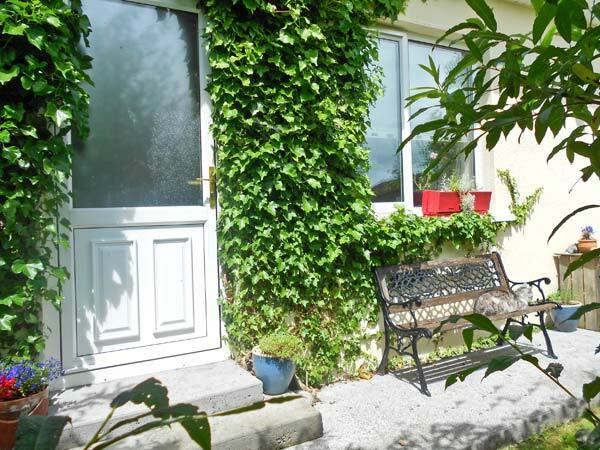 Located close to Gort in County Galway, the estate showcases beautiful scenery as well as cultural significance. Glengowla Mines are a historic landmark found in Oughterard in Galway. These are the very first show mines in the country. Experienced and knowledgeable guides are available to provide a wealth of information as guests your the 19th century lead and silver mines. The grounds also include a gift shop, museum, gold panning activities, farm walks and sheepdog herding demonstrations. Immerse yourself in a beautiful rustic setting and traditional competition at Burren, Ireland! This eye-catching place features historic attractions including monuments like the Poulawack Cairn and Cahercommaun Stone Fort. Don't forget to check the current schedule for the exciting Sheepdog Demonstrations that have become a newly added fixture at Caherconnell! The 3 foot high Turoe Stone features stunning decoration carved into its granite surface. The top includes elegant Celtic curved patterns that are known as La Tene. This style dates back to the 1st century. The centre includes a series of Greek key carvings. This landmark is recognised as one of the finest ritual stones in all of Europe. The Dartfield Horse Museum is an important reminder of an old way of life in Ireland. Visitors can learn more about the magnificent beasts that worked closely with the country's human inhabitants. View exhibits showcasing Connemara ponies, horses and Irish dogs. The grounds include an on-site cafe as well as a gift and saddlery shop. The Little Mill Museum provides a unique look at a preserved corn mill. It is the only site of its kind in west Ireland. Visitors can learn more about the long history of the milling process. Miniature models of four other mill types are also presented as well as an interesting slide show that covers Tuam and nearby areas. St. Brendan's Cathedral, also called the Clonfert Cathedral, is found in Clonfert, Ireland. This classic structure was built in the 12th century on the original site of a 6th century monastery. Individuals from a number of religious backgrounds have shared their interest in preserving this important Irish landmark. Today the building is used by a congregation of the Church of Ireland. Aughnanure Castle in County Galway was constructed in the 1500s. The scene is gorgeous, with lush greener surrounding this stoic structure. The island is rocky, which adds enchanting atmosphere to the view. The castle itself is very well preserved and includes double bawn and bastions as well as a dry harbour. Find your next favourite read at the Clare County Library! Young visitors can join kid-friendly events like the Children's Book Festival or Summer Reading Challenge. Adults can explore an enormous catalogue of fiction and non-fiction titles. Begin your search by visiting the library online or stop by and browse during your stay in County Clare. Delve deeper into the history of Ireland with a visit to the Ennis Friary. Located within the Shannon Region, this 13th century landmark was once a place of power. Today, visitors can admire expertly carved images depicting St. Francis bearing stigmata along with the sacristy, barrel-vaulted ceiling and other architectural and religious treasures. The Clare Museum offers a fascinating slice of Irish natural history. Explore the Riches of Clare Exhibition which showcases many broad themes, including earth, power, water, energy and faith. Don't forget to browse the museum calendar before visiting to discover the many exciting exhibitions and events that will be hosted on-site. The Kenmare Heritage Centre is a great place to learn more about Irish culture and history. The facility was originally opened by President Mrs. Mary Robinson in 1994. Many key events and subjects are covered, including the Great Famine on Kenmare, the nun of Kenmare and the Landlords of Kenmare. A Franciscan abbey was first started at Quin as early as the 14th Century. Today the oldest parts still standing are the cloisters which date from the 15th Century. You can climb to the top of the tower for stunning views of the local countryside. Admission is free for all visitors. Portumna Castle is a stunningly elegant structure positioned along Lough Derg. The building suffered through a fire in 1826 and was completely gutted. Despite that tragedy, Portumna Castle is still a dramatic example of early 17th century architecture. Visitors can explore the gardens and exhibits. This attraction is conveniently close to restaurants so you can easily enjoy lunch before spending an afternoon at the castle! The Irish Workhouse Centre in County Galway shares valuable information on the challenges and tragedies many families faced during the mid-1800s. Those who were poor and starving were often forced into the workhouse. This attraction currently stands as a reminder of those difficult times as well as the events and people who lived through them.